Is order to get DB to pay attention specifically to 2* cadets, I make this thread. 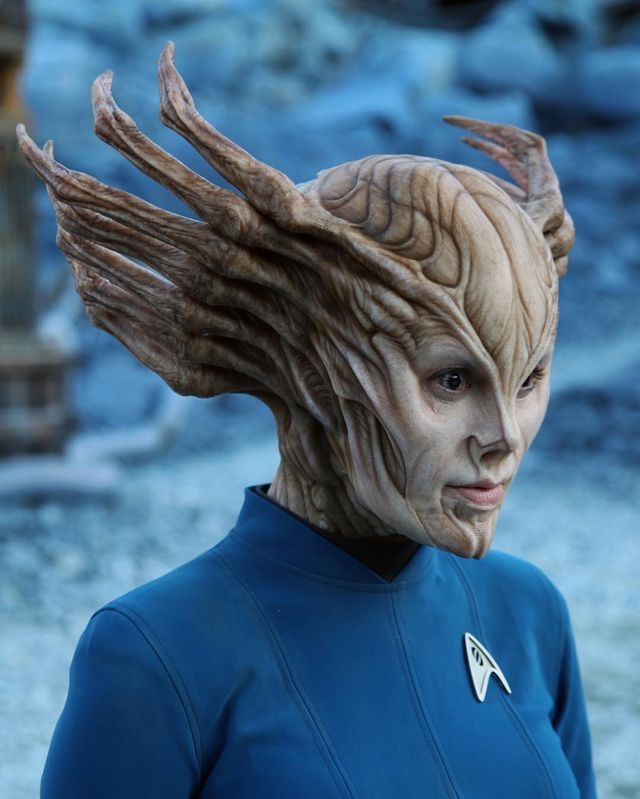 We all want 2* female alien Starfleet cadet crew with multiple and unique high skills. However, I'll be satisfied with a single good skill if it fits a hole in the current roster. These crew, if extremely useful, can even be honor hall or limited release. 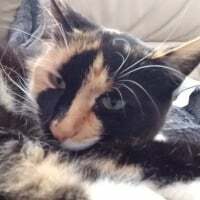 2* Ezri Dax has been recommended and an awesome picture has been made which I'm sure will be posted here soon. 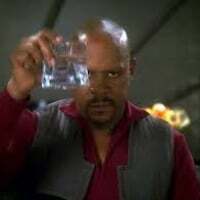 My suggestion is Pom Far (or whatever spelling) Torres from the Voyager episode where she is "infected" with Pom Far. She is high security in that episode. Make her very high security. As a bonus, she should also be high engineering, but security is the hole we need to fill. I don't have the skills, or I would make a picture. Please, DB, make this card. Wow, my bad. I've completely forgotten about them in my freezer. The problem is that if it is not a female Starfleet alien, it does not really matter. Currently there is a lack of security and med in that category. We have several choices for other skills, and if you don't want to have the ability to pass ANY mission, you can do with fewer. I would still like to fill those holes. 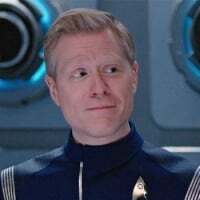 Edit: Discovery might have possible female alien Starfleet security crew, but not med, unless more come out next season or if we can pretend that Tilly has councilor med from being friendly, but she isn't an alien. 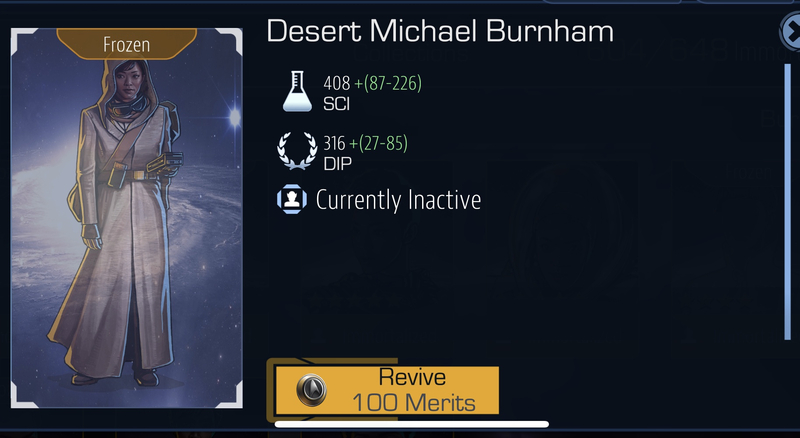 They really havent introduced any new 1 stars since stargazer picard. A Ba'ku Deanna Troi would likely have SEC/MED, and is exactly remarkable enough to get cadet status. I don't remember her at all, but I would gladly welcome her to my crew. They need a one-star helmsman O’Brien and a two-star Transporter Chief Miles O’Brien like, yesterday. 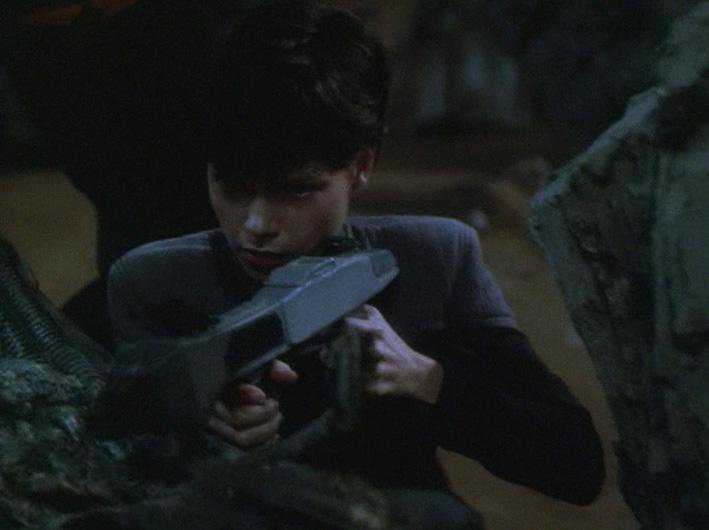 I want a 2* Ezri with MED/SEC, it could be Front Lines Ezri from The Siege of AR-558. We already have her from that episode: Duelist Torres. Well, golly darn. I guess that dashes my hopes. Oh, well. I'll think of another, then. OK, this would need to be taken with SEVERAL grains of salt, but how about Kira from the season 7 episode "Tacking into the Wind"? This is a REAL stretch, but the previous episode Kira got a Starfleet commission so she could lead the rebels on a raid deep into Dominion/Cardassian territory, and I'm pretty sure at some point in the episode she cares for/comforts Odo while he is sick. In the fine tradition of people like Counselor Troi and Ezri Dax getting the medicine skill for being counselors, I say this more than qualifies Kira for some Medicine skill (I mean she was the leader of the rebellion, I'm sure she was teaching people how to field wrap a wound or something too)! And she was technically in Starfleet on that episode, and she is CLEARLY over-qualified for a really high Security score, and honestly since she was a commander in rank why not a bit of Command also?! I seem to remember @Davidebooks, weren't you the one who ask DB as a wish list, to be able to warp the cadet missions a few months back? Lets just cut out the middleman and do this. This action would settle this whole issue. 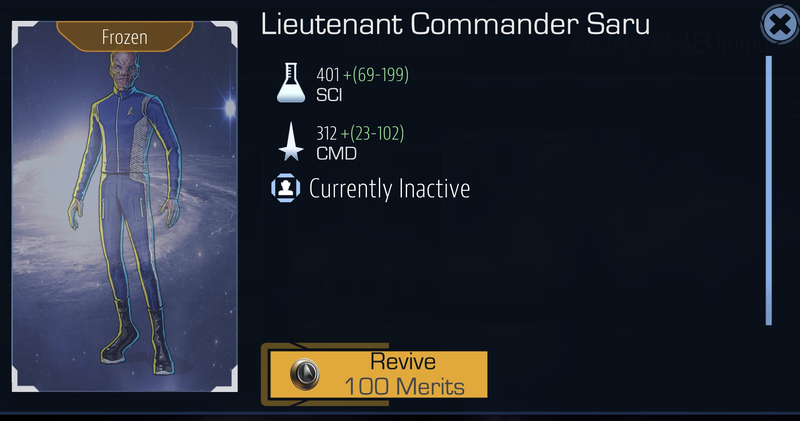 As far as wishing to wrap cadet missions, I don't recall ever asking for it, but I may have supported someone else who did. I am fine with warping them, but I don't mind how it is with ad-doubling. And a stipulation on having all missions fully passed or a certain captain level is fine, too. And you are right, that would solve the crew issue. 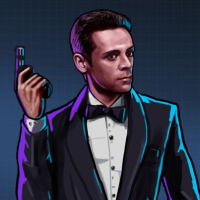 Alternately, we could have a massive revamp of the cadet missions where male crew could actually matter. As long as we could limit the needed crew to around 5. 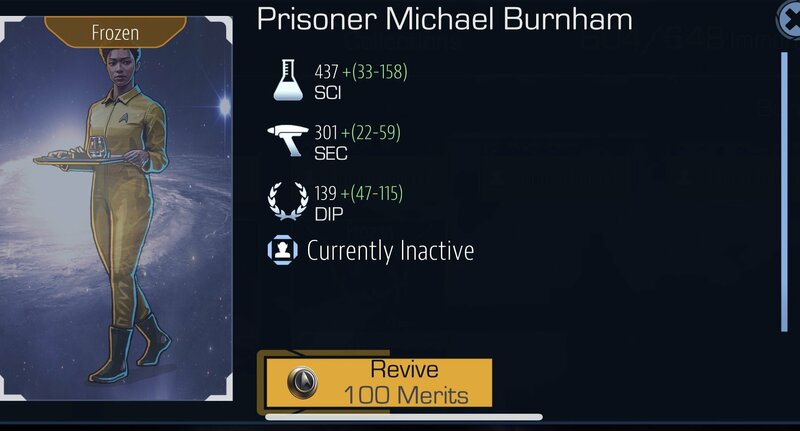 I know people cut it down to important missions, but it is nice to have enough for ANY mission. I can do any on the weekend with 4. 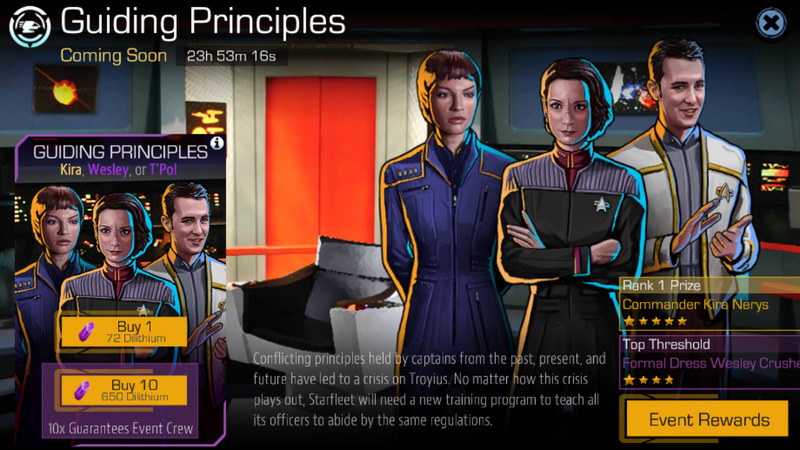 Commander Kira Nerys was added in "Guiding Principles" last June, as a 5*, without MED. I mean, at some point she stood around with her jacket unzipped so I guess a Consoling Terrorist Adviser Kira Nerys could be taken from that? Oh, she'd need a more specific name than that, something like "Starfleet Terrorist Kira" or something. That would make her medicine skill seem that much more incongruous! Ellen Landry is the first security officer on Discovery. She would be the perfect 2*. But I can't think of a female, Starfleet, alien on any of the series, besides Seska with the possible Eng - Sec traits. And I can't think of a female alien Starfleet they could use from any of the series with the Med trait other than Dr. Selar, which they screwed us by making a 3*. Wait, maybe Ezri? Ezri is the leading candidate for a new MED/SEC 2*, though someone recently pointed out that Insurrection Troi could also fill that role. 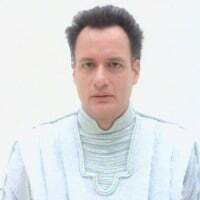 Selar just didn’t have enough appearances to warrant a second card and I also cannot think of any other female doctors/nurses/counselors serving in Starfleet. 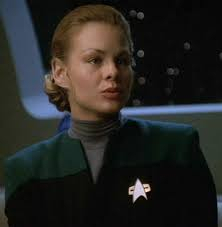 Ok. What about Ensign Syl? Even though she's technically from Abramsverse, there's no reason she couldn't also be from Prime verse, or the Mirrorverse. And she doesn't officially have a division designation, that I could find, so they could make her a Med - Eng - Sci, if they wanted. I began watching Voyager Season 3, Episode 21 (I think). I've not yet finished, but close. What about Alternate future Kes and Tom's daughter. She mentioned working in Sickbay. She's not fully human and she has a Starfleet uniform. She would be good for med. The problem with choosing a character from the movies, is that CBS does not own the rights to those characters that were not crossovers from tv to movies, and DB has the license from CBS not Paramount, so that just doesn't work. Same goes for all Characters from Kelvin universe. That's a good one. She would work. This species is specifically designed for that movie so i think DB can't get rights for it. In that episode she sciences hard several times to avoid ship scanners and using tricorders to mask life signs, she gets into and wins a fire fight with the Jem'Hadar, and she has to use field medical training numerous times (on herself, but it still counts!). Plus, this would give people another Jadzia card! She would be Starfleet, female, alien, PILOT, and have Science, Security, and Medicine as skills. Yes! Awesome. If only DB cared, or listened.